This may look like Colorware has gotten a hold of an HTC phone, but it’s actually the newly-announced HTC Gratia, which will go on sale in November across Europe. The phone is available in green, white, and black and will be powered by Android 2.2. No mention of pricing yet, but some specs include: A 600MHz processor, 512MB ROM and 384MB RAM, 5-megapixel camera, 3.2-inch 320 x 480 pixel display, Front VGA camera, Wi-Fi, Bluetooth, G-sensor, Digital compass, Proximity sensor, Ambient light sensor and a microSD card slot. The HTC Bee will feature an Android operating system and is slated to be a CDMA model. Some of it’s features include Android’s Froyo operating system, a 528MHz Qualcomm processor, 384MB RAM, a QVGA display of unknown size and a 5-megapixel camera with flash. These specs are coming from a Russian blog. 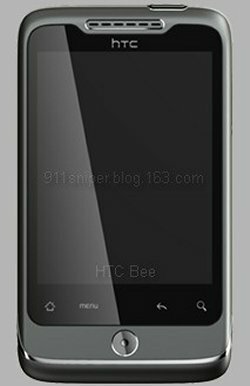 From what we know, the HTC Bee looks like it will be a more affordable Android phone. Nothing on price just yet though. It’s rumored for Verizon. The HTC HD7 has a gorgeous body, but you may just love her for her mind since this beauty is running Windows Phone 7. The leaked specs include: A 4.3″ 800×480 screen, a 5-megapixel camera, 576MB of RAM and 16GB of on-board storage. We don’t know yet if the HD7 can do HSPA+ and take advantage of T-Mobile’s “4G” speeds. Pricing is said to be at $199.99 after a 2-year agreement. We are used to seeing mobile phones available in various colors, but it isn’t often that we see an aluminum-bodied phone offered in a different color. 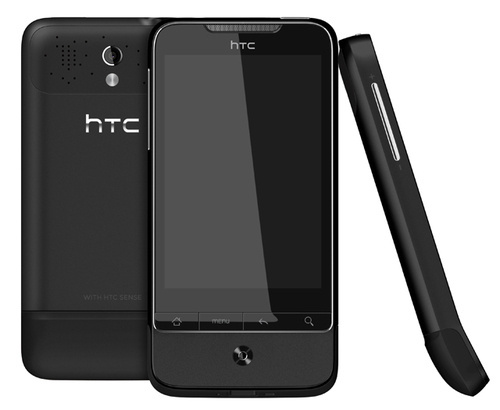 The HTC Legend, which has been available in aluminum silver will soon be available in phantom black across Europe. It will still be made from aluminum materials. A white model will also be joining it sometime this month. So now you have some color choices and get to keep the aluminum body. 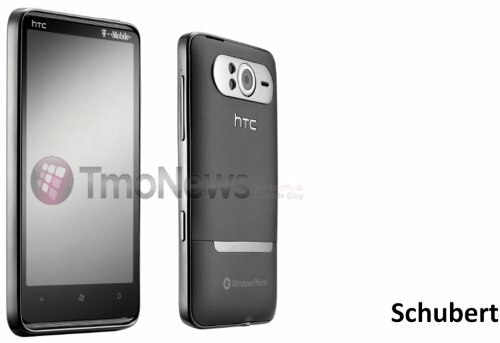 Looks like we now have the first clear press shots of the HTC Mondrian smartphone, thanks to German site BestBoyz. The Windows Phone 7-powered device had previously only been seen in a Microsoft TV ad before now. The source of the images claims that the Mondrian will be available at a major German provider. Who knows which one. Some early specs of the Mondrian, which also went by some other alias’ like Schubert and possibly HD7, include a 4.3-inch, 800×480 touchscreen, a 1GHz Snapdragon CPU, a five-megapixel camera with 720p video recording capability and 8GB of built-in storage. 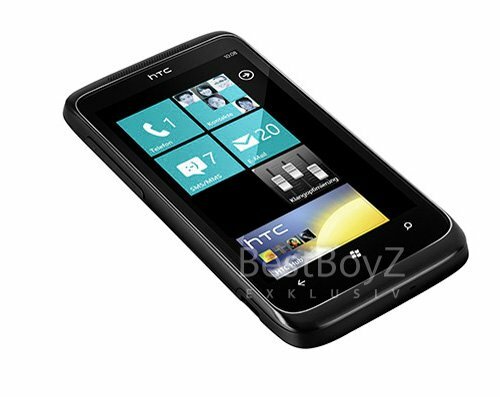 More details have now surfaced on the HTC Mozart Windows Phone 7 smartphone. According the tipster, the WP7 phone features a Qualcomm SnapDragon 1Ghz processor, 576MB RAM, 512MB ROM and 8GB internal memory. The Mozart also features a 3.7-inch WVGA Super LCD touchscreen, an 8 Megapixel camera with Xenon flash, Dolby Mobile, Bluetooth and WiFi. The phone will support dual-band 2100/900 UMTS/HSPA and quad-band GSM/EDGE networks. 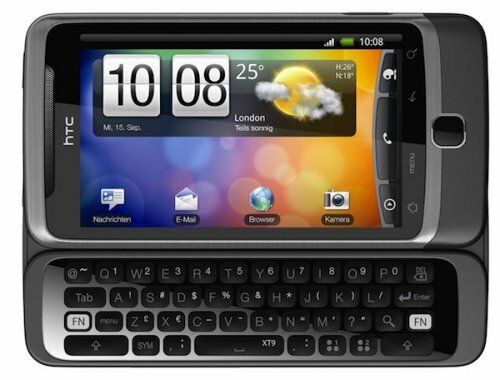 HTC has just announced the Desire Z, an Android QWERTY slider. Just like the T-Mobile G2, the Desire Z has a pop-out QWERTY keyboard with user assigned keys and system-wide shortcuts so you can quickly launch your favorite apps. There’s also a 5 megapixel camera with flash in back that’s HD video capable. An 800MHz Qualcomm MSM7230 processor is inside with HSPA+ and 802.11n. The Desire Z also comes with HTC’s enhanced Sense UI and new HTCSense.com services. 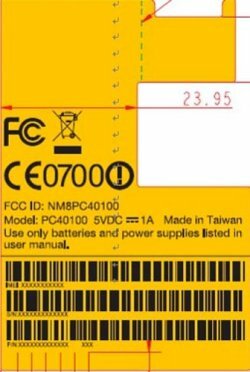 Those busy bees at the FCC have been checking out a Windows Phone 7-powered device from HTC. The ID label HTC filed comes in a cool retro yellow, which points toward the fashion side of things instead of corporate black. Also it appears that this device will be heading to our friends across the pond first, since there’s no mention of US-compatible WCDMA or EV-DO networks. It will cover EDGE 850/1900 and 802.11b/g/n Wi-Fi and Bluetooth. The T-Mobile G1 was the first Android-powered smartphone in the world, and as such it will now get a successor called the G1 Blaze. One look will tell you that this is the HTC Vision, which will apparently feature a 1GHz processor, a somewhat spacious keyboard and 3.7″ WVGA display. Rumors indicate that it will appear on T-Mobile, but no one is sure if that means T-Mobile Europe or T-Mobile USA. Anyway, you can start saving your money and hope it heads your way sometime soon. Look what we have here. A mysterious HTC device that runs on the Windows Phone 7 operating system. We know that this device will feature a 1GHz Snapdragon processor, with a 3.7″ SLCD display and an 8-megapixel camera. 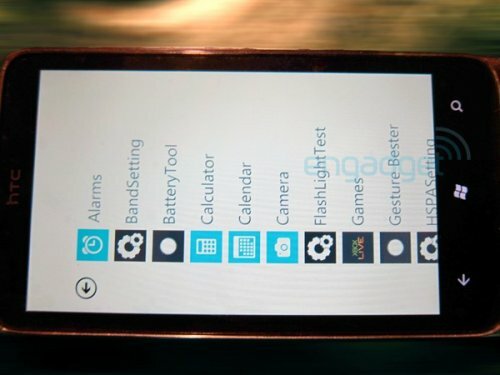 The hardware is ready, but there’s no word on any HTC Sense UI making an appearance on this model despite confirmation of the Sense UI’s availability on the Windows Phone 7 platform. Apparently HTC is currently talking with Verizon about the release of this phone Stateside, but until we hear something official this one will remain a mystery. Take this with whatever size grains of salt you must, as this is just a rumor at this point, but word is that HTC is prepping the HTC Ace. 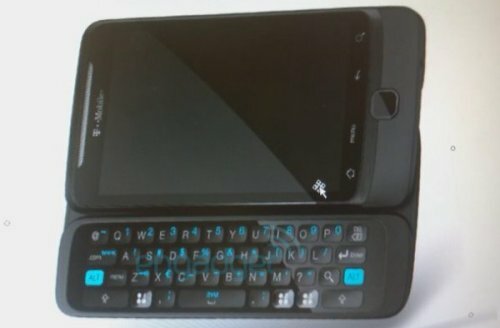 It is rumored to look something like the HTC Droid Incredible. It’s too early to tell when this phone will be arriving, if true, but some specifications reportedly include a large 4.3-inch AMOLED display, an 8-megapixel camera with flash, Android 3.0, and it will be powered by a dual-core Snapdragon CPU. You can now get the white version of the HTC EVO 4G at Best Buy stores across the country. Best Buy was not supposed to release the white version of the EVO 4G from HTC today, but for some reason they have started showing up in select Best Buy stores. July 11th is the official date. I guess they just couldn’t wait. User images and unboxing videos are already assaulting the internet. The white is already getting dirty and scuffed. Cats and dogs are living together. It’s sheer madness. Verizon’s DROID Incredible is about to get a bit more incredible with 720p HD video recording capability and 3G Wi-Fi hotspot functionality through a firmware update. Neither feature is available on the DROID Incredible right now and HTC has not released any information on the potential of either inclusion when asked about it. We will just have to wait and see. There’s no official word on when the firmware update will be announced or released just yet. 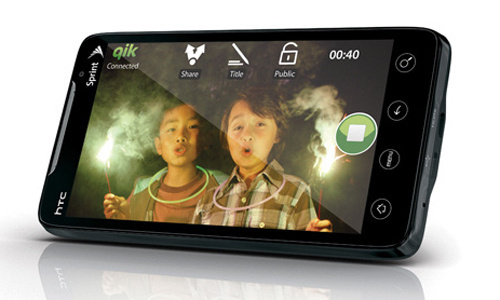 The current Droid Incredible has a 800 x 480 resolution for video recording. A jump to 720p is pretty amazing. 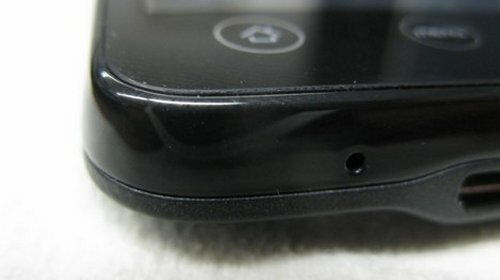 The HTC EVO 4G got off to a great start, but now some bad news is surfacing about the device, with some users complaining that the device is experiencing glass separation issues, which lead to possible light leakage. 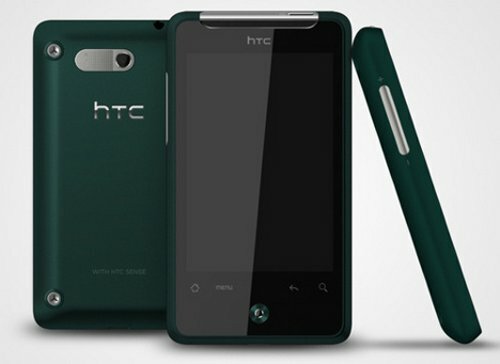 Word is that the glass on the HTC EVO 4G’s screen can loosen from the device, and the light leakage issue could get worse when users press on the screen while trying to clean it. HTC hasn’t officially commented on the situation, but hopefully for users this isn’t a widespread issue. 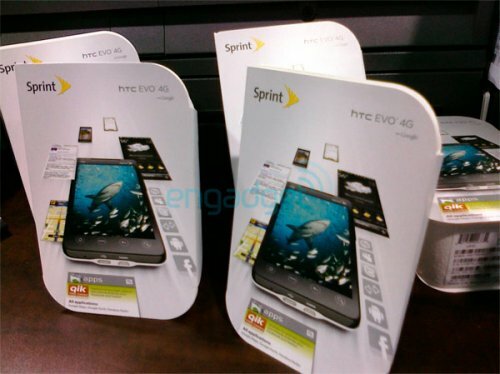 The Sprint Evo 4G will be on sale for $200, with contract, on June 4th. It will feature two-way video chat on 3G and 4G networks, hence the forward-facing camera. Looks like it will run Qik, a third party app, which probably means that you can make cellphone-to-computer calls. WiMax is going to cost you an extra $10 a month as a “Premium Data add-on,”. You can still use the Evo 4G as a hotspot for up to eight devices, but it’s going to cost an extra $30 a month to do so.